Please Register for classes online using the parent portal by clicking the "Enroll Online" button above. A $35 Annual Registration Fee is due for all new students and for returning students if this has not been paid in the last 12 months. Sibling Discounts Available! 10% off of the second child, 15% off of the third child, and 20% off of the fourth+ child. Children taking a second gymnastics, tumbling, ninja, or yoga class receive 20% their monthly tuition. Xcel Team- Bronze, Silver, Gold, & Platinum- by invitation only. Wondering which level your child should be in? 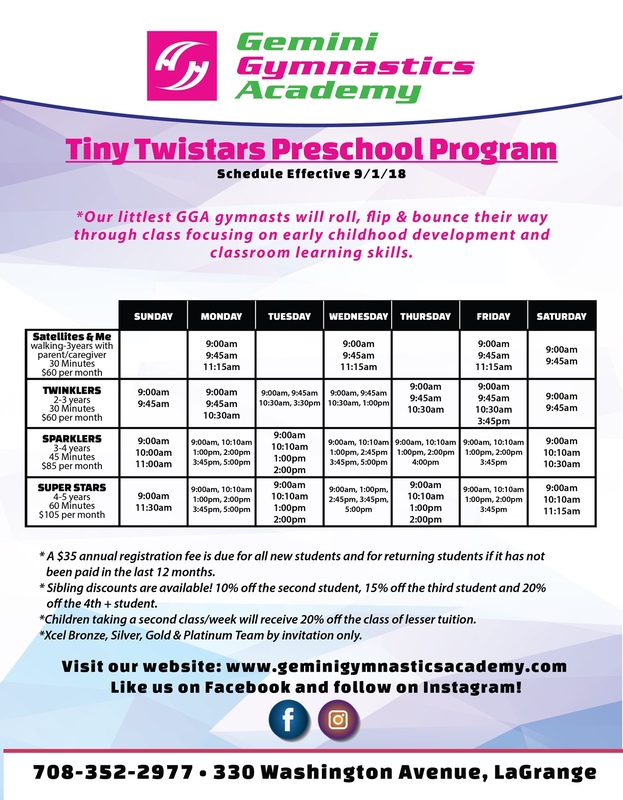 Tiny Twistar level classes are based on school age as of Sept 1st and teacher recommendation. 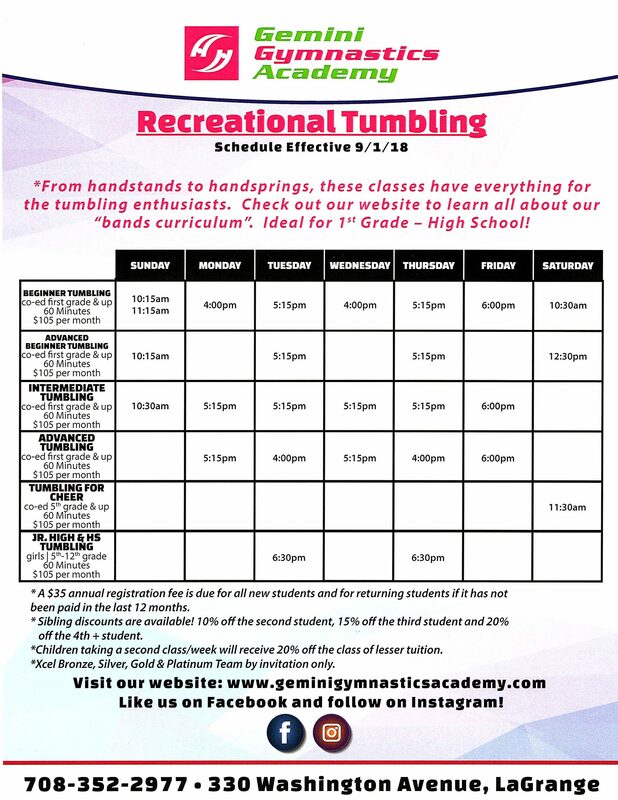 Leveled gymnastics and tumbling classes are based on skill set. 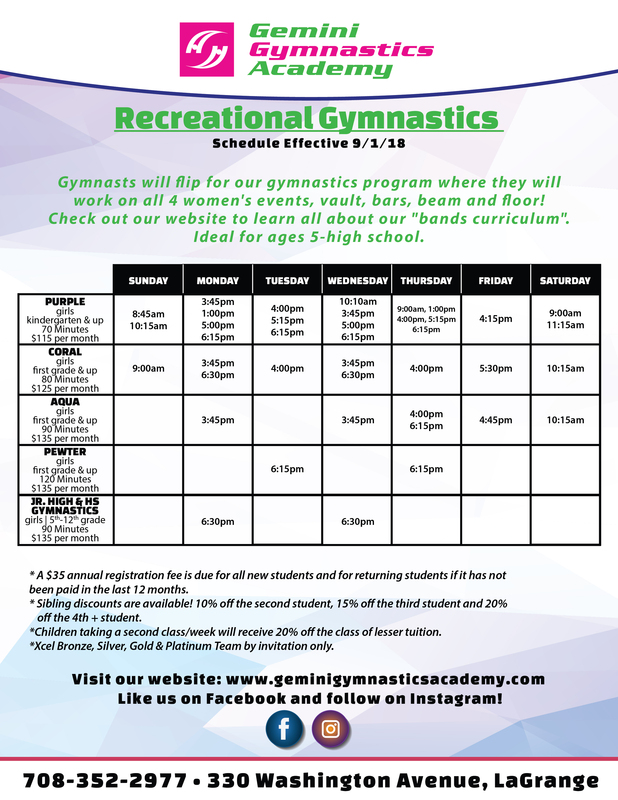 Beginners to the sport fit most appropriately in Purple Level gymnastics and Beginning Tumbling. 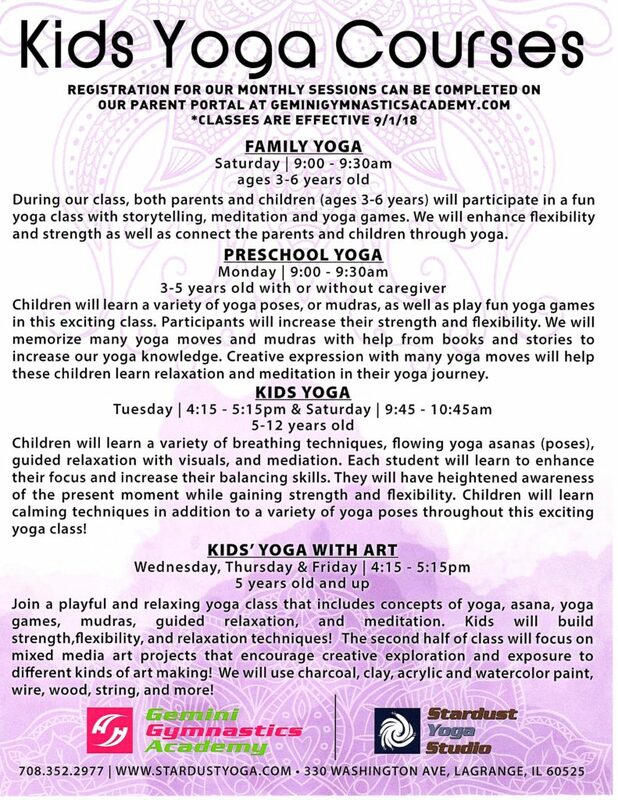 Does your daughter have experience and you are still unsure which class is best? Call the Front Desk to schedule and evaluation today!